This is a pretty basic review. Containers are a necessary accessory for firearms, and hard cases are required for flying. MTM's cases are reasonably priced, sturdy, have two locking points for airline travel, and come in several sizes. 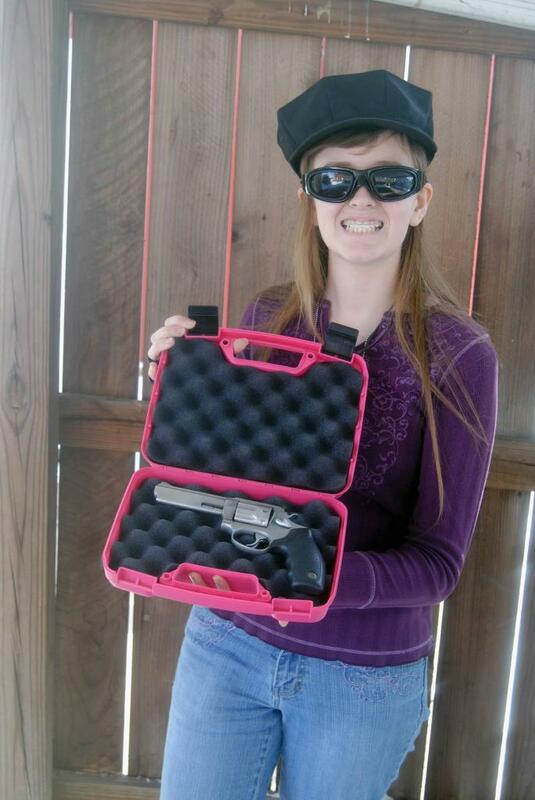 My daughter received the model 805-27, which fits most standard frame autos and 4" revolvers. New, and just coming available now, this one is in shocking pink. It doesn't make it a better case, but it does make it stand out. We tried several drop tests, and it worked fine with several guns. No damage to the case being dropped on a concrete floor from bench height. We're going to need to her a bigger version for her .45 Long Colt and her .44 Magnum. MSRP is $7.77. And if you don't like pink, they have basic black. It's worth getting one for every handgun.